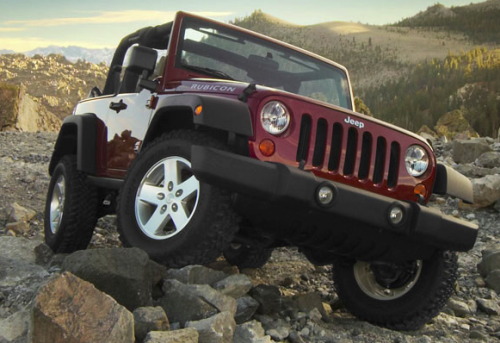 The Jeep Wrangler is one of the few modern automobiles that not only holds its value well but also is sought after by enthusiastic for certain model years, trim packages and colors among other features. This keeps older model Jeep Wranglers relevant where other cars would not be. One of the goals of this site is to serve as a complete viewing source and comprehensive view of all current 2009 Jeep Wranglers for sale across the United States. This is done by pulling ads from both Craigslist & eBay Motors as well as Jeeps posted directly to this site. This is done on a weekly basis to ensure timely updates. Unlike other classifieds sources though, 2009JeepWrangler.com keeps older posts available on the site for bother buyers and sellers to use as a resource. This running database allows both buyers and sellers to see what various Jeeps in various conditions with varying features are being listed for in different regions. The idea is to provide a living record for the asking prices and other important details so that both buyers and sellers can get a relative idea of the fair market value for a given 2009 Jeep Wrangler. Please use the links in the Classifieds Navigation to the right to access this portion of our site. Please note that we do our best to mark ads as SOLD and remove the seller’s contact information once the Jeep has been sold; however this is not always done in a timely fashion due to certain constraints and omissions. Please see our Website Disclaimer for more details. The JK generation is the first time the Jeep has become more accessible to more people. The larger footprint and modern amenities such as power windows/locks and navigation make it a viable option for a family SUV. When looking to purchase a 2009 Jeep Wrangler you first must access your needs. Will it be primarily be used for commuting? Will it be used on and off-road? What will the mix of this be? Is towing, camping or hauling a necessity? The 2009 Jeep Wrangler is a good fit for all these situations and many more. 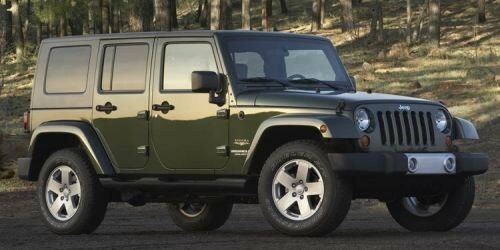 What may change however is the trim level purchased and or the level of modification or accessories of the Jeep bought. A commuter with light off-road use may warrant a mostly stock X package, while someone who wants a ready made hunting/camping rig may want to get an Unlimited Rubicon. Additionally, since purchasing a 2009 Jeep Wrangler is buying a used vehicle, the modifications made by the previous owner will be inherited. The good news however is that the modular nature of a Wrangler will allow for most if not all of these changes to be brought back to stock if need be. How much off-roading needed is an important objective to evaluate before purchasing a Jeep. It is also an important indicator to look for before purchasing one. Some dead giveaways that a Jeep has seen off-road use including but are not limited to the following. Rather the off-road use of a vehicle you are purchasing matters to you or not depends on your needs, however these are important things to consider before purchasing a used Jeep. One of the greatest features of the Jeep Wrangler line is the wealth of variety in modifications/additions and availability of accessories and parts. Rather you are looking for a soft vs hard top or a lift kit and over-sized tires; there are endless combinations of Jeep Wranglers available on the used market. The key to remember here is that while the Jeep itself will hold its value, the value of the accessories added to the Jeep do not. For example if you are looking to put a basic 3in suspension lift kit and 33″ over-sized off-road tires on your Wrangler it could cost you anywhere from $2K-4K depending on numerous factors. However you might be be able to get these features on a used Wrangler for little to nothing over the typical sale price. This all depends on the seller and the condition of the Jeep. However the point is that buying a used Jeep with some customizations that you like already on it, is a great way to get a deal on building out your Jeep. There are many more items to consider when buying a used Jeep Wrangler, however these points are a great place to start. Please contact us should you have any further questions.